Visitors to the former British Viceregal Lodge near Shimla, high up in the Himalayan foothills, are customarily directed towards a large, teak-panelled room situated on the ground floor. Centre of attention is a circular mahogany table, its highly polished surface bisected by a thin line marking the join of the table’s two halves. Tradition has it that around this table the Radcliffe Commission sat in the summer of 1947 debating and hastily preparing to draw a line across the Indian Subcontinent. A line and an act of partition which would precipitate the largest mass migration in history, displacing over 14 million Sikhs, Muslims and Hindus, and resulting in the deaths of as many as 1 million. 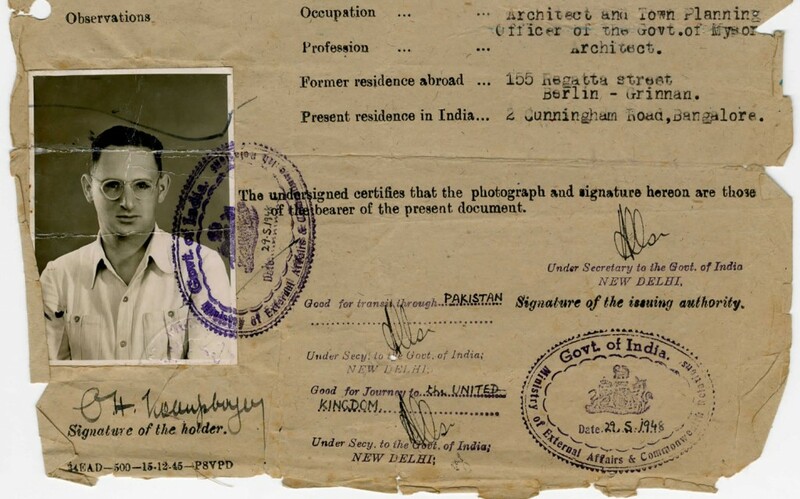 In the months following Partition, Otto Koenigsberger, a young German architect, was appointed as India’s Federal Director of Housing – his prime responsibility being the resettlement of the refugees flooding across the border. Koenigsberger was no stranger to forced migration. A decade earlier he had been stripped of his job and forced to flee Nazi Germany, studying in Egypt and then working as Government Architect to the Princely State of Mysore. 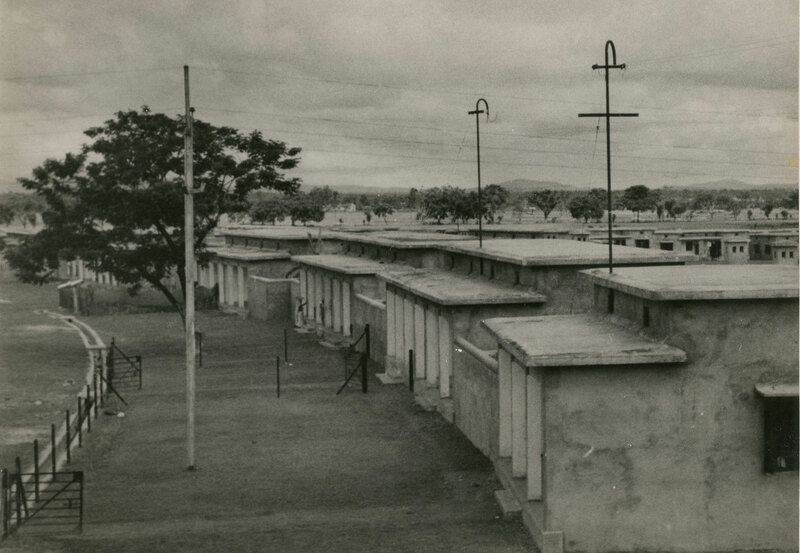 His work in India in the late 1940s was, however, to a totally different scale and pace. Within the space of a few years he planned and oversaw the construction of four new towns, including Gandhidham and Bhubneshwar, and established a Government Housing Factory in Delhi, complete with a programme for the mass production of pre-fabricated houses, to be then rolled out across India. The housing factory programme faltered in the early 1950s and Otto resigned and emigrated to the UK. Based in London for the next forty years, Koenigsberger’s subsequent career was nevertheless a global one and he became a key figure in the network of transnational planning experts which emerged in the post colonial world. He was involved in numerous UN missions, advisory programmes and initiatives, working alongside Charles Abrams and Ernest Weissman, and acting as a consultant to the governments of Nigeria, Ghana, Singapore, Ceylon, Pakistan, the Philippines, Zambia, Brazil and Israel. Alongside this advisory work, Koenigsberger helped establish the AA’s Department of Tropical Studies, transforming its syllabus and attracting an incredibly diverse and talented student body, its graduates including Ram Karmi, Muzharul Islam and Valentine Gunasekara, amongst many others. Visitors to the Bedford Square can now find Otto Koenigsberger’s papers and drawings located within the AA Archives, where they were bequeathed by his widow in 2012. The papers are remarkably intact and through them researchers can trace the entire span of his career and map out the expanding network of international students which emanated from his Department of Tropical Architecture. Government Housing Factory, c1950. AA Archives.